Hamstra Square in Chandler sold for $7.1 million. PHOENIX, ARIZONA (Sept. 27, 2017) – The sale of a Chandler retail property and the leasing of numerous Planet Fitness locations around the Valley highlight transactions closed recently by NAI Horizon professionals. Lane Neville and Barbara Lloyd negotiated the sale of an 81,148 SF retail property, representing the seller, Hamstra Square Investors, LLC, for $7.1 million. The property is located at 1020-1080 E. Pecos Rd., Chandler, AZ. Tim Ernst with Terra Marketing represented the buyer, Schneider Living Trust. Laurel Lewis negotiated the sale of a 1,845 SF office property, representing the seller, The 1906, LLC, for $395,000. The property is located at 1747 E. Morten, Suite 111, Phoenix, AZ. Jim Sadler with Keyser represented the buyer, Solar System Holdings, LLC. Chris Gerow, Shelby Tworek, Gabe Ortega and Patrick Anthon represented the tenant, JEF-Fit 32nd & Greenway, LLC, in a 180-month retail lease for 22,888 SF at 3202 E. Greenway Rd., Suite 1255, Phoenix, AZ. Kalen Rickard with SRG represented the landlord, AP Capital REIT US Limited Partnership. Chris Gerow, Shelby Tworek, Gabe Ortega and Patrick Anthon represented the tenant, JEF-Fit Southern & Priest, LLC, in a 180-month retail lease for 22,664 SF at 1405 W. Southern Ave., Phoenix, AZ. Bob Rusing with Arizona Partners represented the landlord, Prithern, LLC. Chris Gerow, Shelby Tworek, Gabe Ortega and Patrick Anthon represented the tenant, JEF-Fit 83rd & Lake Pleasant, LLC, in a 132- month retail lease for 22,899 SF at 20713 N. 83rd Ave., Phoenix, AZ. Andy Kroot with Kroot & Associates represented the landlord, AZ CDL Properties, LLC. Chris Gerow, Shelby Tworek, Gabe Ortega and Patrick Anthon represented the tenant, PF Goodyear, LLC, in a 126-month retail lease for 17,976 SF at 515 S. Cotton Lane, Goodyear, AZ. Cliff Johnston with Cushman & Wakefield represented the landlord, TPP 211, Canyon Trails, LLC. Chris Gerow, Shelby Tworek, Gabe Ortega and Patrick Anthon represented the landlord, Queen Creek Fiesta, LLC, in a 120-month retail lease for 2,275 SF at 21545 S. Ellsworth Loop Rd., Queen Creek, AZ. David Uhles with ATI Physical Therapy represented the tenant, ATI Holdings of Arizona, LLC. Laurel Lewis represented the tenant, Wilson & Company, in a 66-month office lease for 4,538 SF at 410 N. 44th Street, Suite 460, Phoenix, AZ. Bill Zurek of Transwestern represented the landlord, ARE-LEI Phoenix Gateway Associates, LLC. Chris Gerow, Shelby Tworek, Gabe Ortega and Patrick Anthon represented the landlord, CC Fund 1 Union Hills North, LLC, in a 84-month retail lease for 2,900 SF at 8280 W. Union Hills Dr., Glendale, AZ. Brad Douglass with Cushman & Wakefield represented the tenant, Picazzo’s Union Hills I, LLC. Jeff Adams represented the tenant, Scottsdale Providence Recovery Center, Inc., in a long-term office lease for 5,094 SF at 8889 E. Via Linda, Scottsdale, AZ. Geoff Turbow, Zak Kottler, and Joe Cosgrove with Levrose Real Estate represented the landlord, AWS Business Properties. Laurel Lewis represented the tenant, Software Ops, in a 67-month office lease for 2,779 SF at 11333 N. Scottsdale Rd., Scottsdale, AZ. 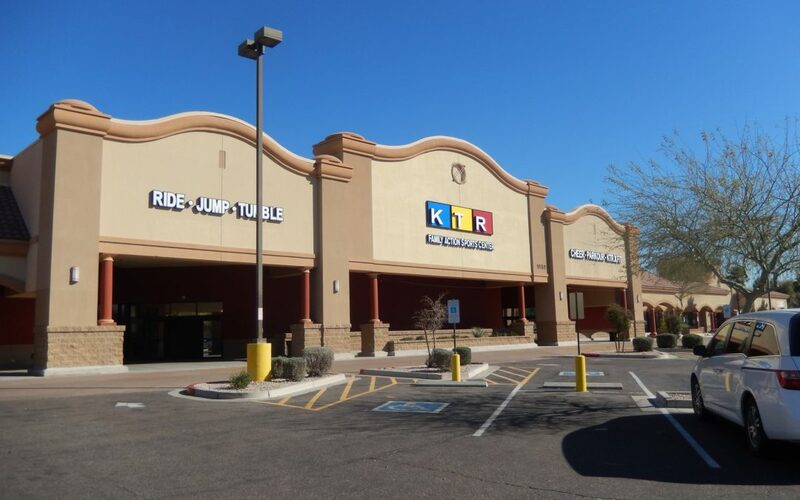 Jerry Noble with Cushman & Wakefield represented the landlord, IPF Scottsdale Norte, LLC. Laurel Lewis represented the tenant, GeoTek Operations Limited, in a 37-month industrial lease for 9,966 SF at 4050 E. Cotton Center Blvd., Phoenix, AZ. Jackie Orcutt with CBRE represented the landlord, BKM, Cotton Center 106, LLC. Laurel Lewis represented the tenant, North Star Wealth Management, LLC, in a 60-month lease for 1,490 SF at 18835 N. Thompson Peak Parkway, Scottsdale, AZ. Mike Strittmatter with CBRE represented the landlord, Canyon Village Partners LLC. Troy Giammarco represented the tenant, Camelback Mortgage, in a 36-month office lease for 1,879 SF at 7600 N. 16th St., Phoenix, AZ. Greg McMillan with Cushman & Wakefield represented the landlord, B.H. Squaw Peak, LLC. Chris Gerow, Shelby Tworek, Gabe Ortega and Patrick Anthon represented the landlord, CP6MF, LLC, in a 64-month retail lease for 755 SF at 1840 E Warner Rd., Suite 105, Tempe, AZ. Chris Gerow, Shelby Tworek, Gabe Ortega and Patrick Anthon represented the tenant, Ken’s Nails, in a 64-month retail lease for 1,551 SF at 7001 N. Scottsdale Rd., Suite D-166, Scottsdale, AZ. Chris Gerow, Shelby Tworek, Gabe Ortega and Patrick Anthon represented the landlord, LNR Partners, LLC, in a 60-month retail lease for 2,800 SF at 20987 N. John Wayne Parkway, Maricopa, AZ. Laura Pogue represented the tenant, Elite Chiropractic and Wellness, LLC, in a 60-month retail lease for 3,176 SF at 5940 W. Union Hills, Suite B-100, Glendale, AZ. Rachael Thompson with Kidder Mathews represented the landlord, Il Palazzo Center, LLC. Matt Harper represented the landlord, AJL Properties, LLC in a 60-month retail lease for 1,558 SF at 1619 N. Dysart Rd., Suite 104, Avondale, AZ. Matt Bustamante with Realty One Group represented the tenant, One Health Primary Care, LLC. Laurel Lewis represented the tenant, PCB Group Sales Co, in a 38-month office lease for 2,435 SF at 4505 E. Chandler Blvd., Suite 115, Phoenix, AZ. Scott Baumgarten with Cushman & Wakefield represented the landlord, HB Foothills Gateway, LLC. Jeff Adams represented the tenant, Ultra Car Detailing, LLC, in a long-term industrial lease for 4,158 SF at 7931 E. Pecos Rd., Suite 148, Mesa, AZ. Lance Clodfelter with Wilson Property Service represented the landlord, Pecos Sossaman Commerce, LLC. Chris Gerow, Shelby Tworek, Gabe Ortega and Patrick Anthon represented the tenant, Biscuits Café, Inc., in a 126-month retail lease for 4,300 SF at 24874 N. 67th Ave., Peoria, AZ. Chris Gerow, Shelby Tworek, Gabe Ortega and Patrick Anthon represented the landlord, New Bell Tower, LLC, in a 60-month retail lease for 1,705 SF at 4925 W. Bell Rd., Suite C-5, Phoenix, AZ. Isy Sonabend represented the tenant, Zieglar’s NYPD, in a 36-month industrial lease for 2,823 SF at 20819 N. 25th Place, Phoenix, AZ. Steve Mardian with Cassidy Turley represented the landlord, Larry Stuart. Kevin Higgins, Lane Neville and Barbara Lloyd represented the landlord, Bogle Family Realty, in a 36-month office lease for 1,391 SF at 7227 N. 16th St., Suite 118, Phoenix, AZ. Kevin Higgins, Barbara Lloyd and Lane Neville represented the landlord, Bogle Family Realty in a 36-month office lease for 878 SF at 7227 N. 16th St., Suite 224, Phoenix, AZ. Chris Gerow, Shelby Tworek, Gabe Ortega and Patrick Anthon represented the landlord, New Bell Tower, LLC, in a 24-month retail lease for 1,230 SF at 4915 W. Bell Rd., Suite F-205, Phoenix, AZ. Matt Harper represented the landlord, M&N Realty, in a 38-month retail lease for 850 SF at 12020 S. Warner Elliot Loop, Suite 122, Phoenix, AZ.